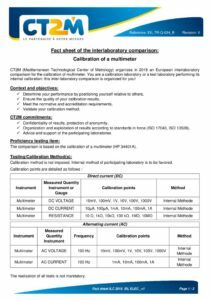 The intercomparison is based on the calibration of a multimeter (HP 34401A). 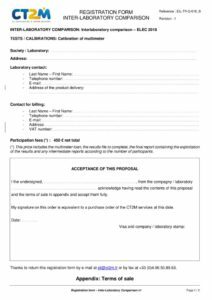 The calibration method is not imposed but the internal method of participants is to be favored. All the tests is not mandatory. Each participant will have to calibrate the multimeter. It will go from laboratory to laboratory. The multimeter will be send back periodically to a refence laboratory to ensure its stability between the calibrations.